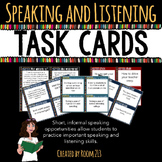 This is a checklist to assess Common Core Listening and Speaking Standards related to collaborative activities and/or diverse conversations. 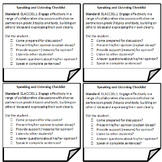 Four checklists per page. 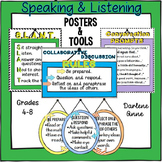 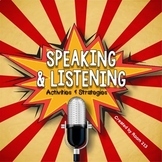 AusVELs progression points for Speaking and Listening presented in a class checklist for primary levels. 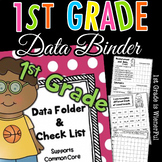 Great assessment tracker tool. 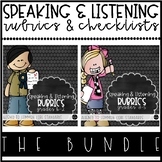 Make monitoring, tracking, and assessing students' speaking and listening skills a breeze with this K-5 Speaking and Listening Rubric BUNDLE! 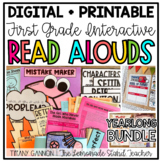 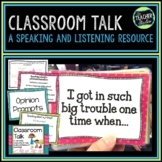 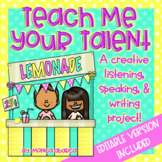 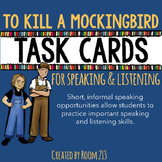 Simply choose your desired forms, print, and GO!This resource is a BUNDLE of my K-2 Speaking and Listening Rubrics and my 3-5 Speaking and Listening Rubrics.